"I would never consider a different contractor." I would give a resounding recommendation, hats off, and standing ovation to Robert Craig Homes! They do not advertise and operate by word-of-mouth. Their client list is extensive and most likely contains the names of many people you know. Their work is phenomenal and their standards are extremely high. They use quality material and will steer you away from easy-to-make mistakes. In the 3 months total that we worked with them, I never once had to "take a breath" or worry needlessly about anything. Rob Petersen is an expert at what he does (which is to successfully run your project). They use only the best sub-contractors and hold them all to the same high level of professionalism. Truly, truly amazing. I am obviously in awe of their workmanship, professionalism, standards, and integrity. I would never consider a different contractor. "Only positive things to say." Pat and I had such a great time and want to thank you ALL for all the time and craftsmanship you put into our house – people are blown away by all the detail throughout the house and we couldn’t be happier with the end product! It was so nice to meet your families/significant others and can’t say enough about all of you. Everyone we talk to who has been through the building process tells us there are always horror stories – we have none. There are only positive things to say about our 22 months (plus 9 months of planning!) of building and we wouldn’t think twice about using you all again! We wanted to have a party in honor of all of you but I have to say, I was so touched by everyone’s kindness, gifts, and appreciation that I feel like we were the one’s honored. You are a fantastic group and we hope to cross paths with you again! "Attention to quality and detail is unsurpassed." We just wanted to send you some thoughts about our recent project and our relationship over the past 10 years. We were impressed from the beginning that Robert Craig had no need to advertise since so many clients were repeat customers. We have been able to see firsthand through working with you just why that is. First, your attention to quality and detail is unsurpassed. We were amazed to find someone whose standards were as exacting as our own. Often Rob would already have an item on his list that we wanted corrected. Robert Craig’s belief that the customer should be satisfied is not just lip service. We were also pleased that a realistic timeline was developed and regular meetings occurred to keep the project progressing in a timely fashion. What was once perhaps a slight negative has evolved over the years. On our initial project. Robert Craig worked with only a certain group of subcontractors. Working with the same subcontractors kept a firm hand on quality control and timing of projects. However, in this economy, value for the dollar has become just as important and Robert Craig was willing to work with additional contractors who were more competitive in price and up to their standards for quality. Finally, your accessibility once the projects have been completed has been exemplary. Although there have been very few issues from our 2003 project, we have always received prompt attention for the items that arose. We know that our current remodel will receive the same level of follow through. We can’t say building and remodeling is a truly enjoyable process, but working with Robert Craig Homes has been a wonderful experience. "I never fail to be impressed"
Just wanted to thank you again for a job well done! Mike (K-2 Electric) and Jay came by on Thursday to address the miscellaneous items. Exterior light fixtures are installed and look great. Electrical issues in basement are fixed and baseboard replaced. Katie came by yesterday and gave wise advice on front door. I never fail to be impressed with the excellent coordination, communication, and workmanship that is the result of meticulous planning on your part. As always, I am very appreciative of your attention to detail and excellent communication. Thank you for all your hard work in making everything possible, have a great weekend! I just wanted to tell you how happy Stephanie and I are with the new home that you built for us. It’s first class in every way; and more importantly, you and all your staff were really a joy to work with!! You were responsive, thoughtful and caring about everything that went into Sunset Gables. It’s neat to be able to say at the conclusion of a job that you would choose the contractor again and we feel very strongly about that. All of your subs were terrific and the quality of work was first rate! We appreciate all of the time that you put into the job and the great care that all of the people working on the job had for our new home. Bob, if you would ever like to use us as a reference please have them contact me. Happy New Year! Wanted to send you a note expressing our gratitude for the fine workmanship on our beautiful new home. Everyone that has visited our home has been impressed with the excellent quality of work. We were very happy with your attention to detail, the lack of construction delays and most importantly, your cooperation and support with budget updates and designer requests. Please pass on to your subs how pleased we have been regarding their follow-up with minor issues that usually accompany a project of this size and detail; they have been prompt, efficient and professional. Thank you and your team for nothing short of a spectacular experience remodeling our new townhouse. We have built and remodeled homes over the years and can honestly say that working with you was the most positive- from start to finish. It was clear to us at our initial meeting that we would always get truthful and unvarnished opinions from you. Happily we asked you to look at the two units that we were interested in before making our decision. I remember Bob saying as he compared the townhomes - one is the kind of place you want to live and call home; the other is a place to visit and leave, cold and dark like a museum. We are grateful for his candor and insight that guided us to make the right decision. As we reflect on the months of design and planning, demolition and construction—a number of important things come to mind for us. The design creativity you brought to the process meant we did not have to hire (and pay for) a separate architect. The place is as aesthetically beautiful as it is functional and comfortable. Your collaboration with Katie on the selection of materials and colors made the process seamless and efficient. The floors and cabinets were so attractive that it almost seemed a shame to bring furniture in. We have to acknowledge the exceptional work of Charlie Leuthner and his team. Not only were they a pleasure to work with, but the creativity and craftsmanship of their work is instantly obvious to everyone who visits our new home. The kitchen and the master bath cabinets in particular are as unique and beautiful as any we see in home design magazines. The craftsmen you have assembled were without exception--professional, courteous, neat, and mindful of budget and timeline. Clearly you handpicked this team and have worked together for many years. While most are independent vendors, they work together with a sense of the overall project rather than simply doing their ‘thing’ and moving on. Your project management and this sense of team delivered a superior product, on time, and on budget. Kudos. We love our newly remodeled townhouse, Rob. Downsizing and moving from our wonderful family home could have been a sad experience for us. Thanks to you and the great place you designed and built for us (not to mention the fact that we have no more yard work and no more pool to take care of)—we could not be happier! Please have folks call us if you need a reference. Again, our thanks. PS. Our new neighbors even commented on the courtesy they were shown by the workers! — Steve and Mary G.
We have just finished a six-month renovation project with Robert Craig Homes, and could not be happier with the result! Nine months ago, we purchased a home in Chanhassen built in 1998. The home had been well cared for, but was in need of updating. Being new to Minnesota, we were not familiar with local renovation companies, and having heard various remodeling horror stories, had some anxiety about embarking on a large renovation project. We heard about Robert Craig Homes by word of mouth, and consulted with Robert Petersen in spring 2016. From start to finish, our experience with Robert Craig Homes was very positive. Rob Petersen's professionalism and meticulous attention to detail is unsurpassed. In the early planning stages of our project, Rob met with us frequently to discuss different renovation options. Rob had a creative vision of many renovation possibilities, and was able to guide us based on his many years of experience. Rob was always respectful of our budget, and in some areas, was able to help us find a less expensive alternative without compromising quality. From start to finish, our communication with Rob Petersen was characterized by honesty and transparency. We always knew exactly what was being done, when it was being done, and how much it would cost. We were fully informed and in control of our renovation project at all times. Additionally, all contractor discounts were passed on to us, without any hidden markups. Rob promptly answered emails at all hours of the day or night, and was always available to address our questions or concerns. Robert Craig Homes works with select subcontractors who have a longstanding reputation of doing top quality work at a fair price. We were impressed with the subcontractors' professionalism and attention to detail throughout our renovation project. They were polite and respectful to us and our neighbors, and cared about doing a good job, as though it was their home that they were working on. During our renovation, Rob Petersen visited our home every day, meticulously checking all work himself. If something needed attention, Rob would communicate directly with the subcontractor, ensuring that all work in our home was completed to a high standard. When everything was completed, we were happy to discover that our entire renovation project was completed under budget and ahead of schedule! In summary, we have no hesitation in recommending Robert Craig Homes to anyone who is considering a major or minor home renovation. 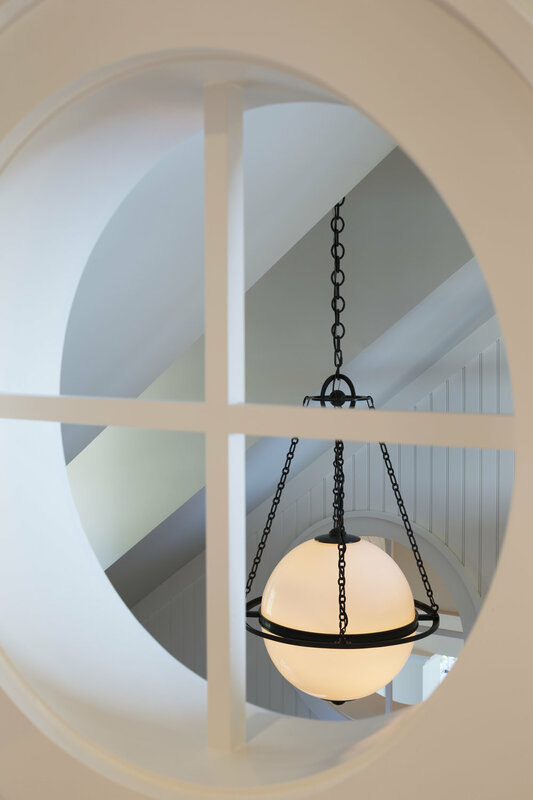 As we now live in our beautifully renovated home, we are very grateful for the expert craftsmanship and professionalism of Robert Craig Homes. Thank you for everything. — Michael and Catherine E.
"It is a joy to live in the final product." We used Robert Craig Homes to renovate a home that we bought in Bloomington. It had been a beautiful home once, but friends advised us not to buy it because it needed so much work to “bring it back to its former glory”. Rob Petersen met with us many times to, at first, listen to us, and then to, where necessary, offer great ideas to help us complete our quest to turn the house into our perfect home. He was willing to do whatever was necessary and his sub contractors were phenomenal. It is clear that these people have had a long relationship working together and a lot of respect for each other. They work like a well oiled machine. We have been in our home for well over a year, and could not be happier. If we have any questions or issues, we call Rob, and he is quick to respond to help us figure out the nuances of our new place. The workmanship was excellent, we came in on budget, and it is a joy to live in the final product.